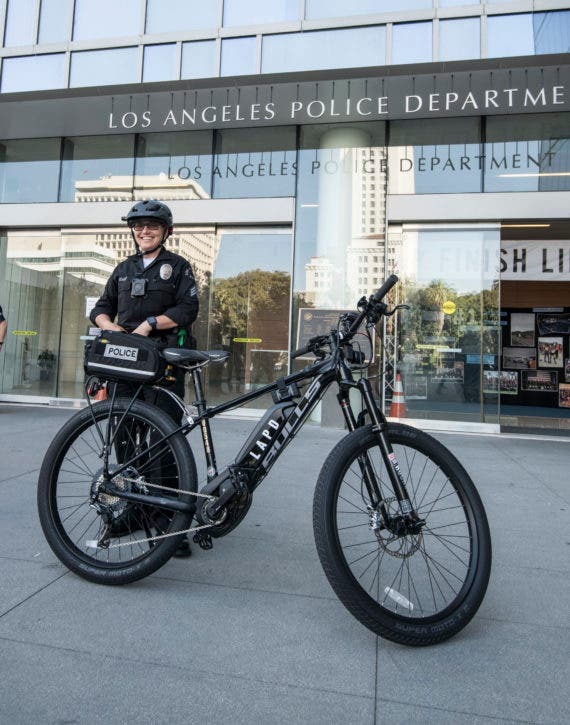 Part of the department’s ongoing green initiative program, 20 Bulls Sentinel eBikes have been redesigned and delivered to the Los Angeles Police Department (LAPD) in just 9 months. 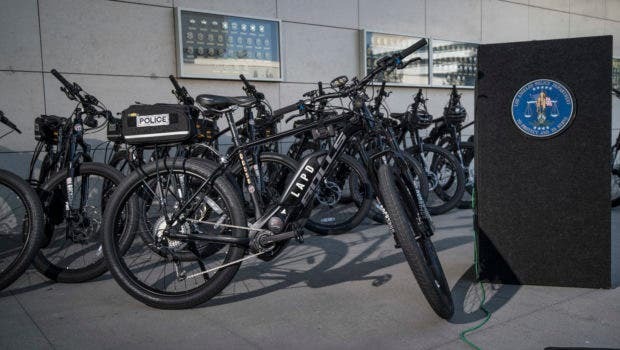 The LAPD Bulls Sentinel eBikes can reach 28 mph, something the company says it developed closely with the LAPD over those 9 months. During that time, Bulls was able to tweak its Sentinel platform to accommodate the LAPD’s specific needs. As to how they will be used, the LAPD RFP specified the need to improve its urban law enforcement and patrol division department. 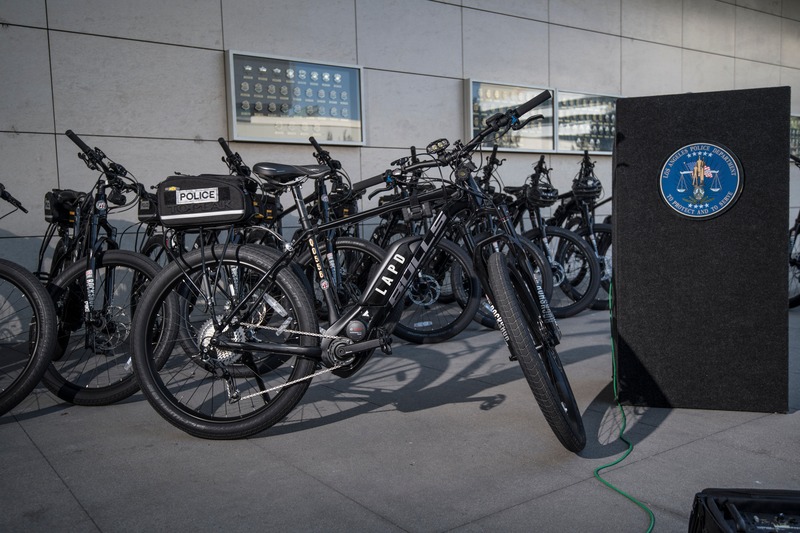 Today, this gives the LAPD the largest e-bike fleet in the US. 2013 highlighted the limits of EVs for law enforcement for me. Law enforcement vehicles need to stay put sometimes for hours with lights flashing, a big drain on any battery pack. I remember the head of the Long Beach Police Department’s motorcycles division coming back from a Zero Motorcycles ride I asked him to take and film. He was smiling ear to ear and saying he could finally ride on this all day without the brutal and constant opposing piston engine firing below, buzzing all day long. He also smiled wryly and said he could finally creep up on criminals … quietly. 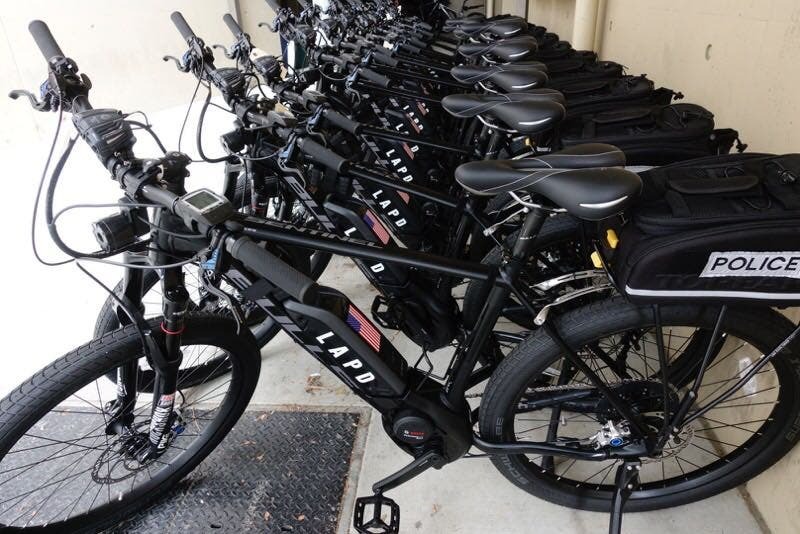 So, Long Beach, how can we help your Bike Police Division to get on those fast e-bikes?. For more fun, check out the excellent electric bike review video below.